Ludhiana: Sikh political prisoner Bhai Paramjit Singh Bheora was today brought to district court complex Ludhiana under heavy security from Chandigarh Model Jail, Burial. He was produced before the court of a judicial magistrate in a 20 years old case. 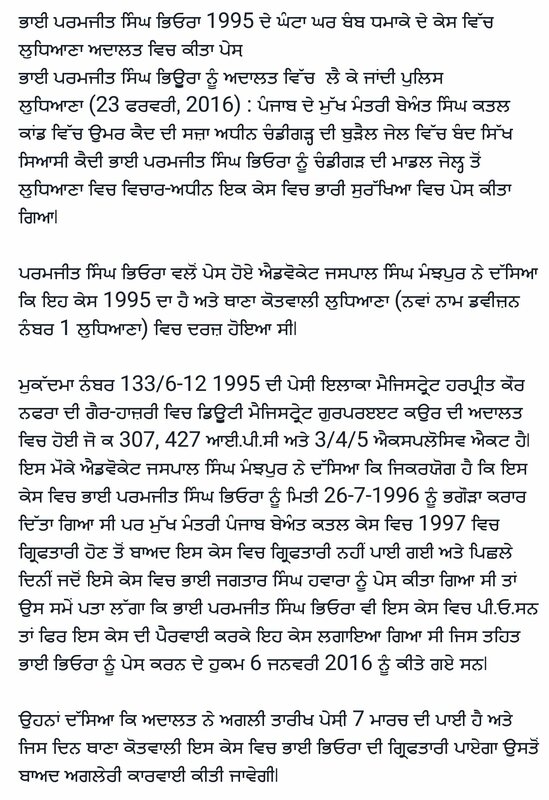 Bhai Paramjit Singh Bheora’s counsel Advocate Jaspal Singh Manjhpur told Sikh Siyasat News (SSN) over phone that a case was registered against him (FIR no. 133, dated: December 6, 1995) at police station Kotwali (now Division Number 1) Ludhiana more than 20 years ago. He was declared proclaimed offender in this case on July 27, 1996. As per FIR the case was registered under sections 307, 427 IPC and sections 3, 4 and 5 of Explosives Act. Advocate Manjhpur told SSN that Bhai Bheora was presented before the judicial magistrate Gurpreet Kaur. “Recently when Bhai Jagtar Singh Hawara was presented in this case then it came into light that Bhai Paramjit Singh was also P.O. in this case. Thereafter we requested the court to initiate proceedings in this case. 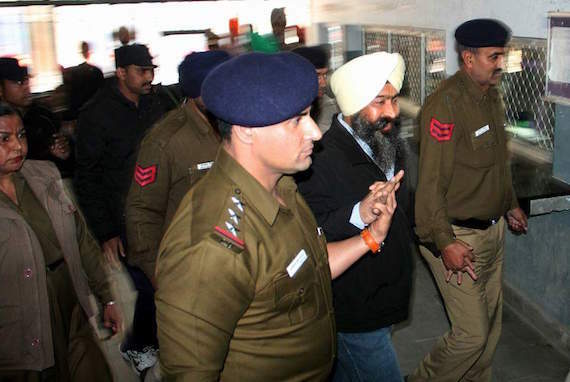 The court has issued orders to produce Bhai Paramjit Singh Bheora in this case on January 6, 2016”, said Advocate Jaspal Singh. “Next hearing in this case is on March 7, 2016” he added.